Jay Nomád is an artist/producer from NYC with a strong multicultural influence. He’s explored different genres throughout his music career and is now releasing his debut Single ‘Hanabi’, a blend of pop, urban, and electronic with some worldly sounds! Jay Nomád grew up in New York City in Manhattan’s Upper East Side. From a young age Jay was influenced by classical music, rock, hip-hop and pop. 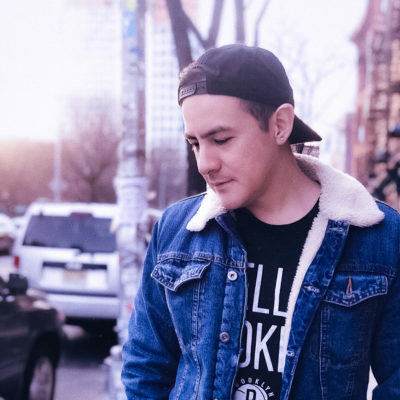 He learned guitar and singing in his teens and started several bands throughout his high school and college years, one of which achieved local success in the mid 2000s. In 2013, Jay Nomád took a hiatus from music due to a lack of inspiration. He traveled several countries and discovered a whole world of new sounds in the different cultures he encountered. It took Jay several years to polish his knowledge of music theory and composition. Finally in 2017 he decided to pursue music production for pop and urban genres. It’s at the end of 2017 that he adopts the name Jay Nomád, a reference to his frequent traveling, and he initiates this project starting off with cover songs. On November 2nd 2018, Jay Nomád released his debut single “Hanabi” produced along with renowned Colombian producer Juan David Morales. His first song after 5 years. He looks to collaborate with fellow producers and artists to come up with creative work. He’s currently working on new songs along with Juan and Tony Yang (Paprtape), a producer who lived several years in Taiwan and worked with several well known artists in Asia.